With a baby in the house again, I have to think about things like what kind of laundry detergent is best for her skin. I have never been a mama to go out and get something special just for the baby, but I’ll never turn down a chance to try it for free. 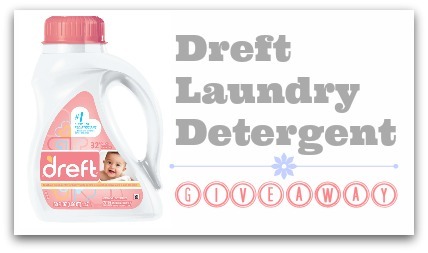 Dreft is the baby laundry detergent most recommended by pediatricians and the brand that parents have known and loved for over 75 years. It not only leaves your little one’s clothes and linens feeling soft and comfortable, but have you smelled it?? This is my mental smell of what babies should smell like. I think when my youngest is grown and I need a baby fix I’ll wash all of our towels with it for a stint. Dreft is as gentle as water on baby’s skin and specially formulated for the unique needs of baby items, parents have relied on Dreft to not only help prepare their little one’s essentials before their arrival, but also to keep those items clean once they’re brought home from the hospital. One Southern Savers reader is going to win a $100 gift card and 18 samples of Dreft to try for yourself. Leave a comment below telling me how many times a week you do your baby’s laundry. The winner of this giveaway will be chosen and posted to the Giveaway Winners Page Thursday, 6/27. This giveaway was sponsored by Dreft, but all opinions are 100% my own.